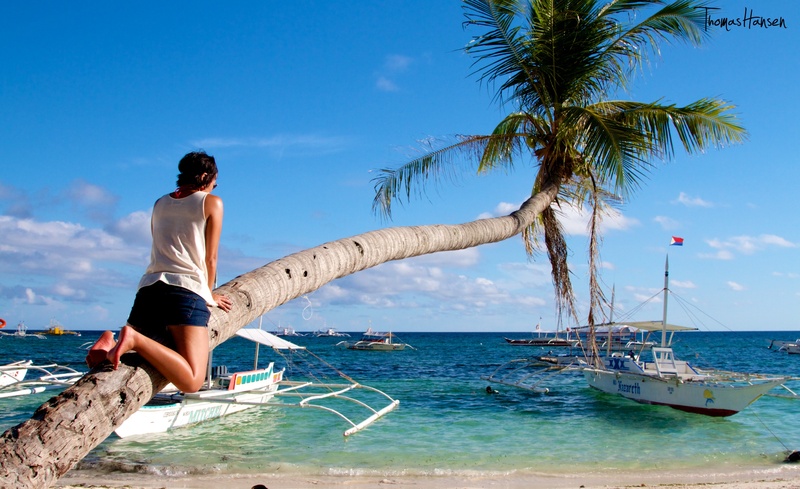 Have you ever wanted to climb a palm tree on a tropical island in the Philippines? Or, how about anywhere else in the world for that matter? Well, today is your lucky day because we’ve broken down the process of climbing a palm tree into 5 simple steps. Step 1: Find the perfect tree. Unless you’re looking for a suicide mission, stay away from the vertical trees. A horizontal tree is definitely what you need. 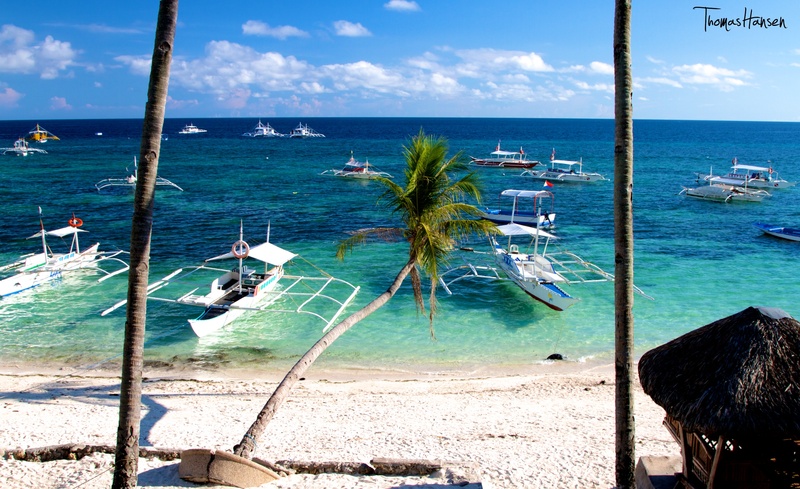 You know, the ones that hang precariously over a beach, dangling their leaves over the breaking waves, looking oh so perfect and picturesque! Most tourists would simply stop at taking a picture of such a gorgeous tree. Not you. 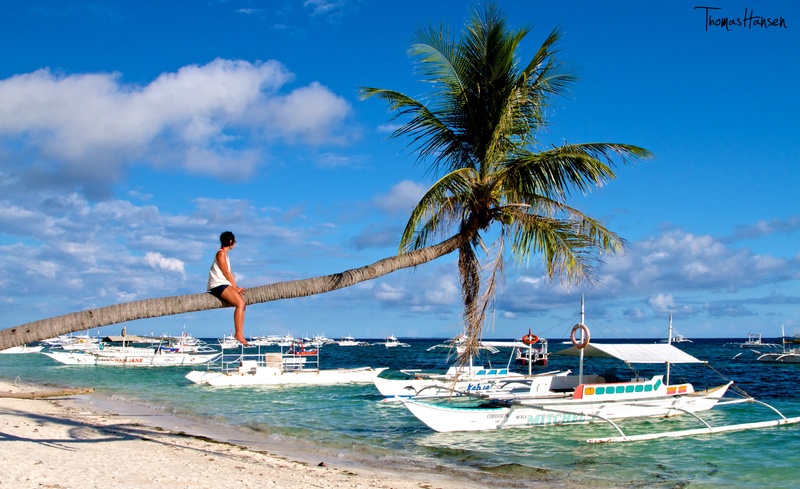 If you see such a tree and want nothing more than to climb that thing so you can capture the most epic Facebook cover photo of all time, you’re ready for Step 2! Step 2: Get in the ready position. Step 3: Shimmy your way up, one inch at a time. 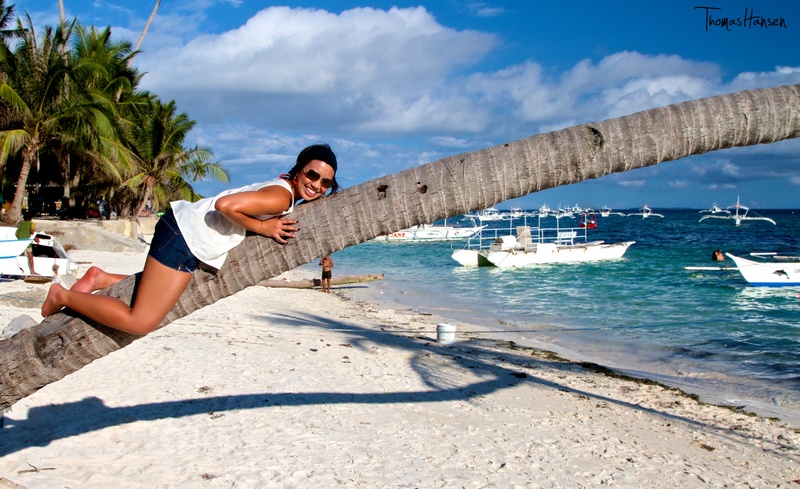 Walking up a palm tree may look easy, but it’s scary as hell. We suggest inching your way up one shimmy at a time. It’s certainly not the quickest method, but it certainly is the safest. Even if the sand beneath you is as soft as icing sugar, it’ll hurt if you take a wrong step. So, shimmy away! Step 4: Hug the tree tight when you get scared. Even though your feet may only be dangling <1 meter off the ground, your eyes are much higher and that makes the height (for some) that much scarier. Hug the tree when you get scared. Stay there until you’re brave enough to shimmy some more. Or, until a firefighter comes to rescue you. Depending on your sense of adventure for the day, and your ability to overcome your fears, you may not make it all the way to the end. If not, that’s ok, because the picture will turn out better if you’re halfway up anyway. Turn, face the camera, and say, “CHEESE!”. Then, look the other way and pretend your position on the tree is completely natural, completely oblivious to the fact that someone is taking your photo. If shimmying up the tree from on top of it isn’t your style, you could always go from underneath. You’ve got to have an incredible amount of upper body strength, a naturally cunning ability to climb trees, agility like a cheetah, and well, you get the idea.